These durable, soft padded boxing gloves are youth-sized, and intended for training and competitive use in boxing and mixed martial arts. Made of premium synthetic leather, with rugged and long-lasting stitching and construction, the gloves have an easy slip-on design and simple elastic cuff closure. The name Everlast is synonymous with boxing. Known internationally as a manufacturer of boxing equipment, Everlast started out as a swimwear manufacturer in 1910. Headquartered in the Bronx, NY, the company was founded by 17-year-old Jacob Golomb. The son of a tailor and an avid swimmer, Golomb was dissatisfied with the durability of swimsuits at the time, which scarecely lasted a season, so he began making suits that he guaranteed would last for a full year. He dubbed them "Everlast." Over the ensuing years, Golomb expanded his company into a small retail store that carried a full line of sports equipment. In 1917, a young fighter named Jack Dempsey introduced boxing to Golomb and Everlast. Dempsey asked Golomb to construct protective headgear that would last more than 15 rounds of intensive boxing training, and Golomb agreed. In 1919, Dempsey won the world’s heavyweight championship wearing boxing gloves custom made for him by Golomb. 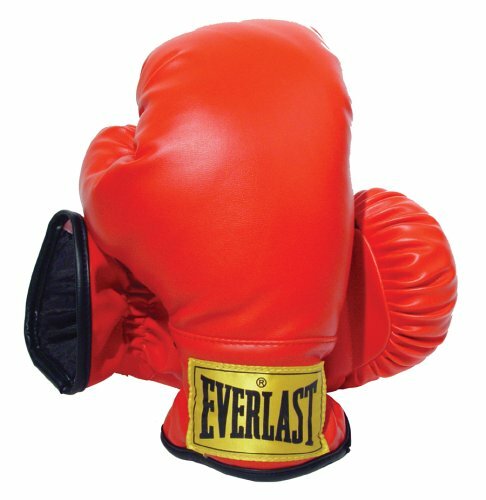 Everlast became the headquarters for boxing equipment throughout the world. In 1925, Golomb designed elastic-waist trunks to replace the leather-belted trunks then worn by boxers. These trunks, now known as boxer trunks, immediately grew in popularity. Everlast men’s and women’s apparel and accessories continue today to be popular both inside and outside the ring.